For students, working professionals, freelancers and digital nomads, conducive work-friendly cafes in Singapore are never enough and at some of these places, you still have to deal with unstable WIFI, boring freezer food and coffee that is mediocre at best. Now, who has the time for that? Here comes O’Coffee Club Xpress—a casual cafe that is equipped with free WIFI, power sockets, a curated range of gourmet food and coffee selections, as well as convenient Grab & Go salads and sandwiches for the busy people. O’Coffee Club Xpress isn’t just for those who are looking for a workspace; if you want affordable lunch sets or a place for a quick lunch, this will be your answer too. With six outlets islandwide, here is everything to love about the new O’Coffee Club Xpress. The Daily Roundup at The Working Capitol – one of the hottest co-working spaces in Singapore - serves a simple purpose of offering fresh food and coffee. The menu is conceptualised by Chef Bruno Menard, and the star dish has to be their great selection of both sweet and savoury crepes. We love the space for its free wifi and minimalistic interior. Great ambience, laid back vibes; that is what you will get at The Daily Roundup. Don’t you just love days where you get to spend some time alone in a cafe, away from the mayhem and just to catch up with yourself in a lovely space? Imagine yourself on a laptop with your favourite shows running, or simply catching up with some overdue work without any disturbance. And the pleasure of scrolling through your Facebook feed or watch YouTube videos without having to worry about the excess data usage while munching on some food is priceless. If all these sound tempting to you, then we are here to help. Days like these are when we really need a list of List of Conducive Cafes in Singapore with free Wi-Fi and power sockets to study and work at. Bookmark this guide, because we know it will be so beneficial. Rangoon Road is one of those areas that we’d love to think of as the “last frontiers of Singapore”. In our memories, we grew up knowing Rangoon Road as one laid back neighbourhood scattered with coffee shops, little eateries and workshops. When one thinks of Rangoon Road, Ng Ah Sio and Founders Bak Kut Teh come to mind. However, the neighbourhood is more than just bak kut teh. While Rangoon Road may not have evolved much, it is no less quaint and lovely. Today, many new cafes have opened in the neighbourhood and it is hardly a surprise given the strategic location. 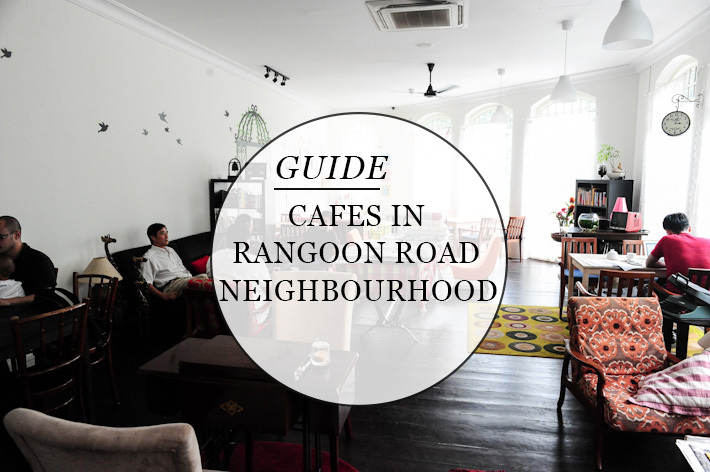 Here is a guide to cafes in the Rangoon Road neighbourhood. 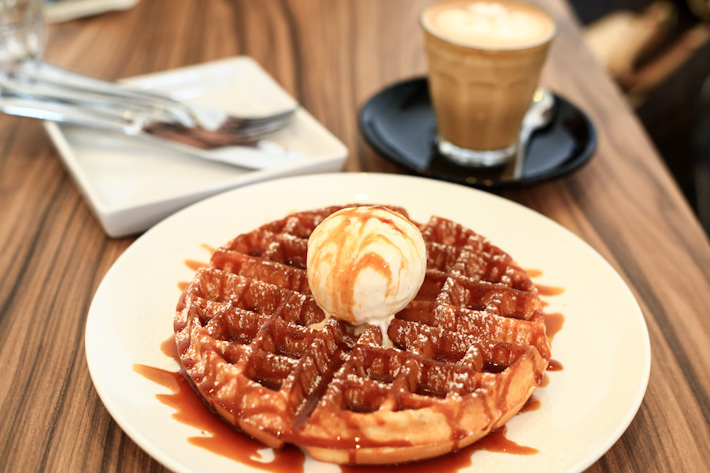 The Upper Thomson neighbourhood is experiencing a revival, with new cafes like November 8 and One Man Coffee opening in the area. 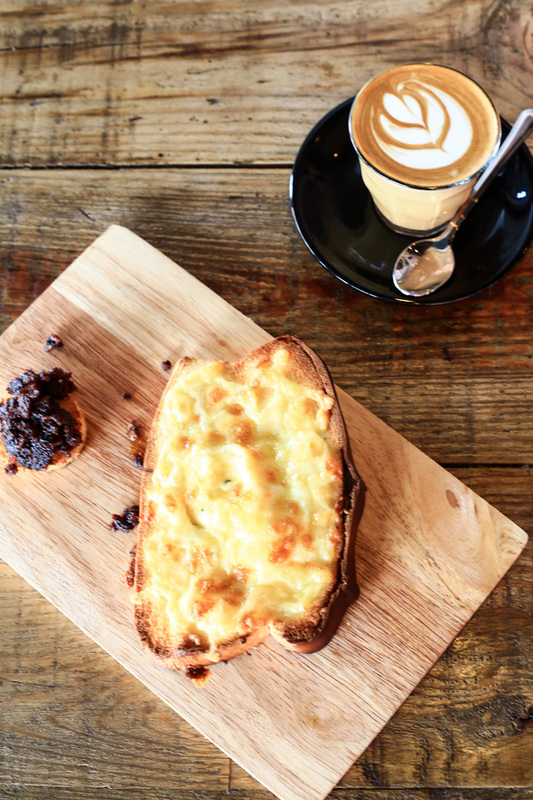 Among them, you should swing by One Man Coffee for great coffee and delicious light bites like its ‘Toad in the Hole’ and the much-lauded French toast. 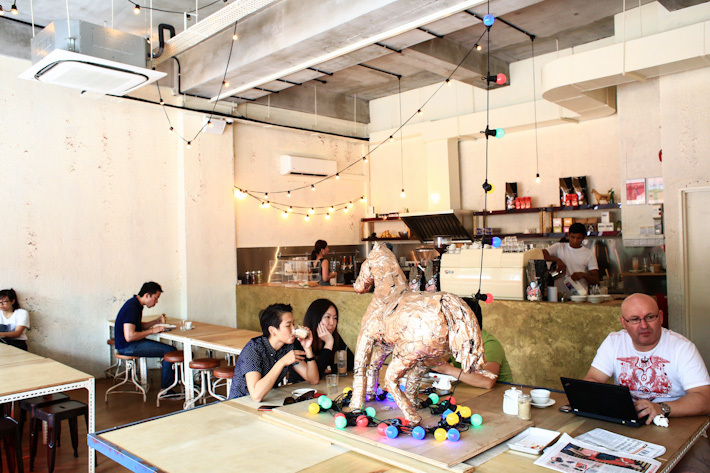 We recently checked out Assembly Coffee, a 3-month old cafe located at Evans Lodge where you can also find Mr Prata and Hatched. The coffee is excellent, the food offerings are simple and easy on the pocket, and the space is small, but buzzing with energy. 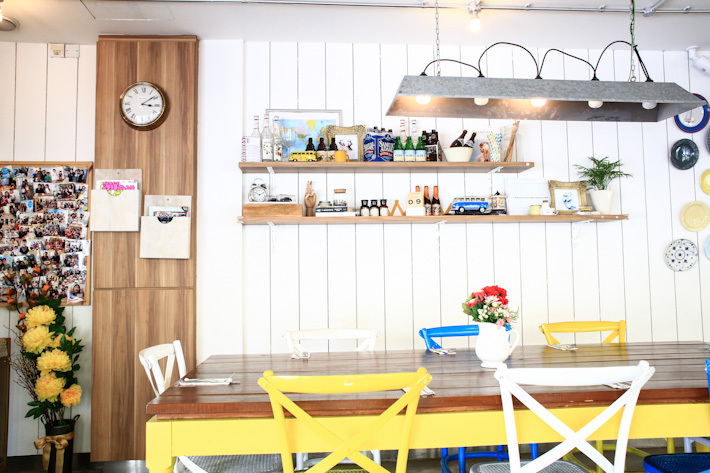 It took us a while to visit The Bravery Cafe because we have heard mixed reviews about it. Some people mentioned that the seats are uncomfortable (which is true to an extent), while others commented that there is nothing outstanding and it is just another new cafe. However, after our first visit to this cafe in the Lavender neighbourhood, we find ourselves returning whenever we are in the vicinity and in need of a caffeine boast. A lovely weekday afternoon, a quiet day to unwind and relax, a trip to W39 Bistro and Bakery in West Coast. We’ve heard a fair bit about this neighbourhood gem in the West, and a recent trip made us understand why it is well-loved for many reasons.